I've gotta tell you: I have big expectations from this year. 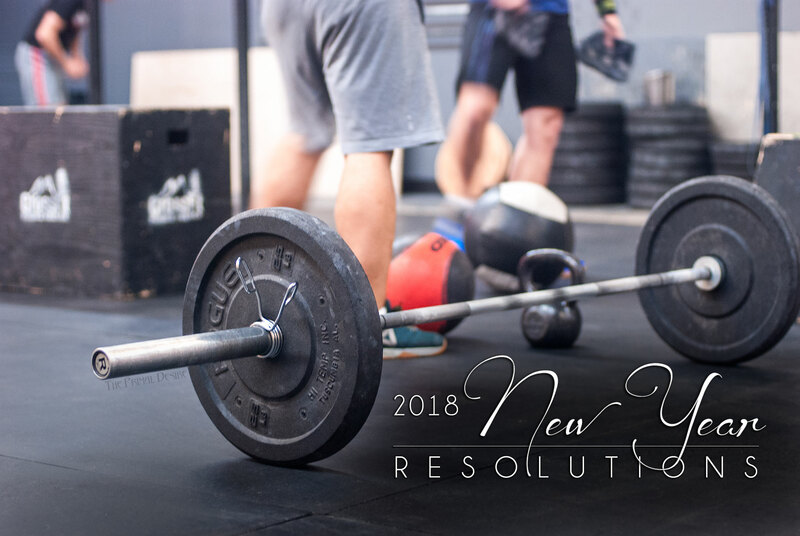 It's more than just 2018 New Years Resolutions, although those are part of it. I had planned on hitting the year running: coming up with a daily routine that would change everything (meditation, visualization, stretching, hydration, daily use of Beautycounter's Countermatch Eye Cream, exercise, and making more room for fun and adventure. Basically: self-care). And of course multiple plans we have for the website. Well, that's not how things are going at all. Quite the opposite, in fact. I've basically been forced to do NOTHING for the past few days. I've been on the couch watching Netflix and mouth-breathing for days due to a head cold. No fun New Year's Eve here. I watched my sick-day playlist of movies: Ferris Bueller's Day Off, The ‘Burbs, Young Guns I & II, and a handful of other 80s movies. Not the healthy beginning I had planned. Thanks to being injured for the past few years, I've learned how important it is to go easy on yourself when you're unable to do the things you want. Sometimes rest is the most important thing we can do for ourselves. So I didn't start my plans on January 1st. Does that mean that I'm not going to have as a good a year? Hell no! Obviously, we're looking to grow the website a lot more this year with more features, higher viewership, more interaction with you, etc, etc. Wanna help us out by sharing our posts on social media? Just like everyone else, I'll be working on improving my fitness level. Holley and I have published our first recipe ebook, “I'm Hungry! What Should I Snack On?”, that is designed to support you as you make dietary changes. Whether you're going gluten-free or paleo, even for a month, or if you're doing a challenge like the Whole Life Challenge, BeachBody, Terrafit, or Isagenix, this book is an excellent supplement. And? More FUN! Hopefully, that involves more travel, camping, and other cool experiences. What about you? What are your goals this year? How has the year started for you so far? Hope you are over your bug! Happy New Year’s….hope all your goals for the year, happen! Hope you’re feeling better and congrats on the new ebook! Love the having more fun resolution. That’s one of mine too! So glad you listened to your body and rested! so smart! Yay for ebooks! Can’t wait! They are going to be awesome! Great advice. We should be making resolutions year-round. Glad you are back and at ’em with a restored will to go after those goals. I totally didn’t even make any this year… just was so unmotivated – but I guess it’s never too late to make goals! Going easy on yourself is something I’m learning to pay more attention to. We live in such a world that it can make you feel guilty for having a rest, like we’re all supposed to be productive all the time. Definitely going to do this more, and rest when my body needs it. And also have more fun! Yeah, treat yourself the way you’d treat a friend. I have loads of big goals for this year too, but I’ve been in the same boat being sick, such a bummer you’ve caught the bug too, but hopefully it’ll all look up from here! Congrats on the new book! 2018 is going to be amazing. I hope you feel better! Glad you’re feeling better now! Here’s to a great 2018! Congrats on the new ebook ! Hope you feel better ! Glad you’re feeling better. definitely on the self care train this year too… choo choo! Get better soon. It’s never to late to make positive changes in your life.